On March 5, 2017, the giant Gundam statue in Tokyo’s Odaiba will be no more. So there’s still time to see it, but not much. 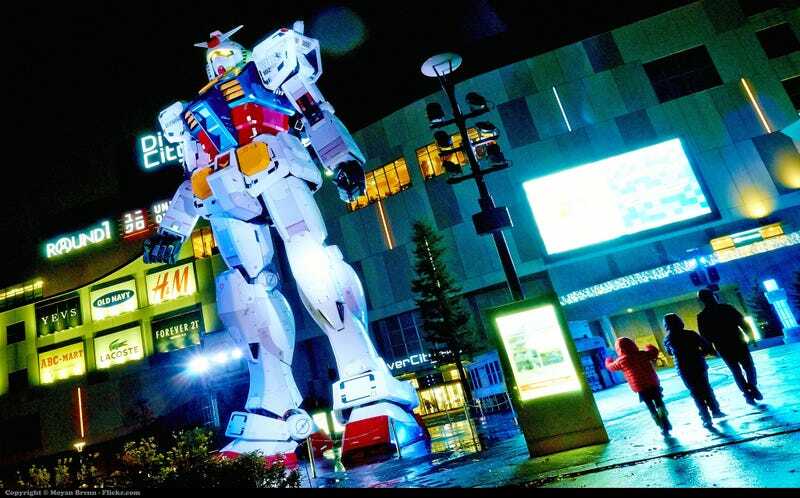 This giant Gundam statue went up in 2012, and it’s not the first of its kind. Previously, a giant Gundam went up in Tokyo in 2009, and there was another one in Shizuoka the following year. Neither were permanent displays. Even though this latest news sounds like a bummer, especially considering how many tourists visit the statue, as Gundam Info reports, there are currently plans for a new giant Gundam. More details will be announced at a later date. Since 2019 is Gundam’s 40th anniversary, expect the next one to be the greatest giant Gundam yet.